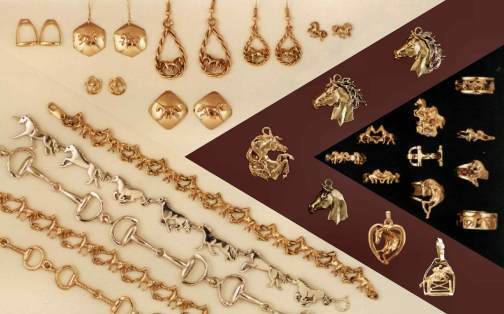 Designer and maker of fine jewelry with the horse and riding as the theme, made for riders and horse lovers. Custom making or designing a unique piece of jewelry can be done by altering or enhancing details and forms on an existing model to make it uniquely yours. This can also be done by combining golds and silver.